Eir offices at No. 6 Thurles Shopping Centre, Thurles, Co. Tipperary. 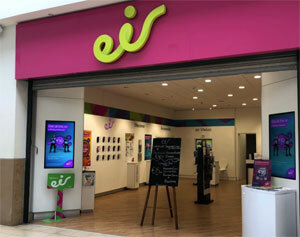 Eir Group plc., trading as Eir and which provide an internet service nationally; this morning claim that they have now resolved their embarrassing internet outage that hit its service for over 12 hours yesterday. Customers right across Ireland were affected by the issue from 2.30pm yesterday (Saturday), afternoon. Eir has this morning apologised to customers for the inconvenience caused, confirming that the service they provide has now been restored to their customers, however in efforts to make contact with the Eir website, same continues to show a “timed out” message, indicating their server at www.eir is taking to long to respond. We understand that this outage was caused by a problem with an Eir Domain Name System (DNS) server. While I cannot comment on internet service Eir; it is interesting to note that internet provider Virgin Media continues to charge customers for periods of outages, and consumers will only get their monthly bills reduced, by contacting Virgin’s loyalty department directly on Tel: 061-272190. Usually, however, they claim that unless their down time is more than 24 hours, they will not make any deductions from your account. Perhaps the new Minister for Communications, Mr Richard Bruton, might take a look at this issue, which is similar to a consumer asking their local grocer for a loaf of bread, to be told he has none. The grocer then charges the consumer for that loaf of bread.